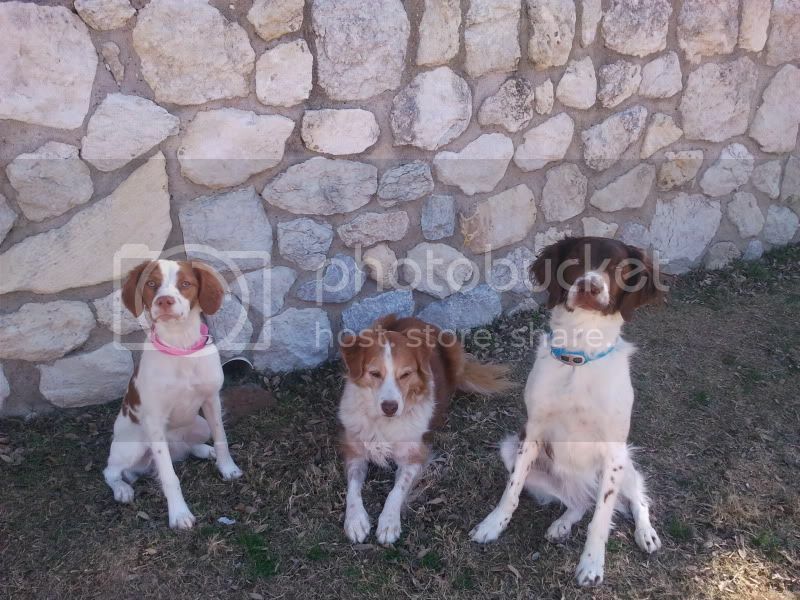 Two weeks ago we adopted a 3 year old male Brittany Spaniel from the original owners. One week ago he had him neutered. The assimilation into our family (including a 12 year old male Cairn Terrier) has been smoother than I would have hoped. The one issue is that this Brittany dog once daily, usually in morning, will stand on all fours, put head between front legs, and urinate 8 inches into his own mouth. We try to catch him in the act and verbally scold him, but after one week, no change in this habit. He was doing it before neutering, and is still doing it, although I realize neutering could take about 4 weeks to effect his hormone levels. He is on Potassium Bromide for epilepsy. He had his first seizure about four months ago. Left untreated, about 3 months ago he had several in one day. Actually, though a little unusaul this activity is not rare....it's sort of the dog version of Uropathy (here is a web site that explains it for human usage: http://www.shirleys-wellness-cafe.com/urine.htm The only experience I have had with it is Huskies eating "yellow snow". I was able to stop it by adding plain table salt to the diet once a day for just a few days, about 1/4 tsp with the dinner meal. This stopped the behavior for several months, but then had to be repeated. However, there may be more involved in this since inadequate salt in a commercial diet is pretty unlikely. Perhaps there is something else missing and changing to a higher quality food would probably be in order. What do the previous owners have to say about this??? Is this an old habit or something new ??? Did it start with the epilepsy meds???? I'd probably suggest getting past the UGH factor and let him do it until you can find out what might be the "medicine" he is trying to acquire. The first catch of the day will have concentrated constituents that are satisfying some instinctive search, something not found later in the day with more dilute urine. Just sort of winging it here, and think probably a change in quality of diet would be the place to start to see if you can overcome his "needing" this. I will be happy to research this interesting phenomenum and see if I can find some other likely explanations....a curious need no question about that. Will let you know what I find out And perhaps some of our other members here on the board will have come across this and have some suggestions too. Moby used to drink his urine. He'd do it in the morning as soon as he went outside. I just figured that he woke up thirsty and I was encouraging him to go out before letting him go to his water bowl. Who knows? At first, he acted surprised as if "look, a drinking fountain". He grew out of it by about 4 years old. We'd call his name and try to break his concentration but didn't go crazy trying to change the behavior. 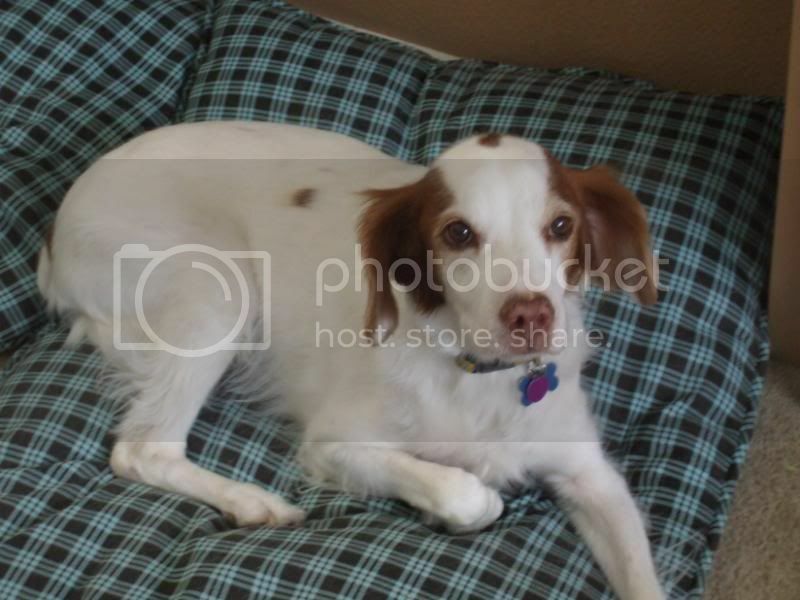 We fostered a rescue brittany that did the same thing when we first got him. He had been rescued from a situation where he had been tied out and did not have adequate shelter, food or water. Once we had him here for a while and he got use to having all the fresh clean watewr whenever he wanted this habit stopped on its own. His adfopted family said he never did it when they adopted him. We put it down to a survival tactic. Hmmm. I would second that something is lacking in his diet--Pedigree is not that swift of a food and it has artificial colors and whatnot in it. Was he left in any kind of situation where he had to rely on instinctual behavior for survival? Just a thought--some time ago, I spoke with an alternative practitioner about Orion's need to, uh, recycle, shall we say. He'd been separated from his original owners for a long enough time that he had to scavange, and I'm wondering if it might be the same thing. You really have to go to your small, local dog stores to find quality foods. I'm working for one of the big pet stores now, with rows and rows of food, plus I get 15% off. There is not a single food there I would give to my dogs. Not one. I have a male Brit who is 6 and does the same thing. From some of his other behaviors we're pretty sure he originally came from a puppy mill so I think he may have been in a confined area where it was drink it or lay in it. It hasn't caused any health problems so I distract him by calling him when I see him at it, but otherwise I haven't made an issue out of it. It did freak out a kennel employee (teenager) however, lol. I also had a foster that did this. Once I got past the ick factor, I just didn't make a big deal out of it. I was afraid that calling attention to it would encourage it. So, I did a couple of things...I encouraged the dog to drink water more often by adding a bit of chicken broth to the water, and watering down his food significantly. Also, when I caught him drinking his urine, I'd just brightly call his name to get his attention and get him to stop. I had to watch tone of voice, though, because if I called his name too harshly, it would startle him in to not peeing, and then I had to wait for him to calm down and finish going! I'm afraid if I tell him"no" he'll think I'm scolding him peeing, which I DON'T want to do; he's very sensitive.